When Do You Need a Custom Sofa Bed Mattress? 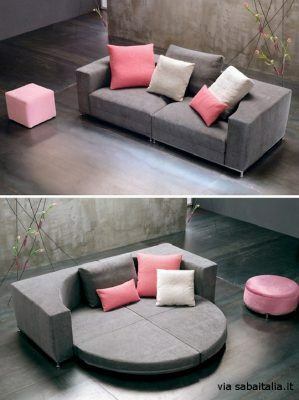 Sofa beds come in many different sizes, styles, and shapes. Therefore, standard mattress sizes won’t always fit with the sofa bed you own. If your sofa bed has is a non-standard size, is intended for an RV, or has a unique shape, then it will require a custom sofa bed mattress. You can determine the dimensions of your sofa bed replacement mattress by measuring the width and length of the bed frame. Don’t worry about rounded corners because they’re already taken into consideration by manufacturers. Also don’t make the mistake of measuring the old sleeper sofa mattress. If the measurement of your sofa bed frame doesn’t match one of the above standard sizes, you need a custom couch mattress. RV sofa bed mattresses need to be custom-made as well because they usually don’t come in standard sizes, as is mostly the case with regular sofa bed mattresses. The reason behind this is that sofa beds that go onto RVs are usually designed depending on the space available in the RV itself, which we all know that is rather limited. Thus, a custom sleeper sofa bed mattress is usually your only option in order to get a mattress that fits the RV sofa bed mechanism properly. 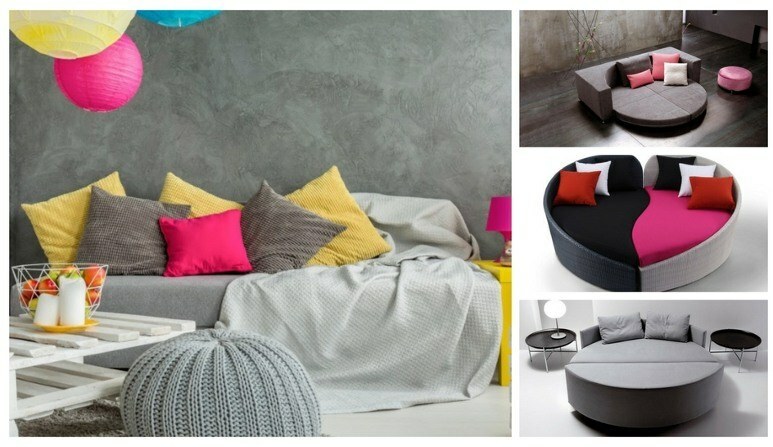 Sofa beds that have a different non-rectangular shape, also require custom-made mattresses. 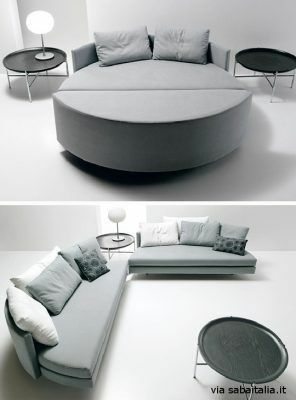 Examples of sofa beds with unique shapes are the round sleeper sofas like the Scoop Round Sofa Bed by Guido Rosati for Saba Italia and the Nesting Round Sofa bed by Sergio Bicego for Saba Italia. 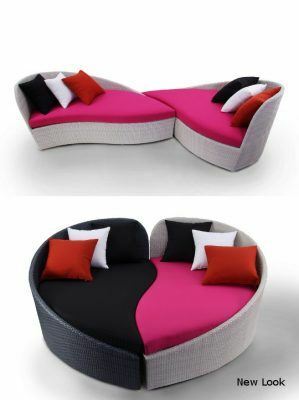 Another example of a sofa bed you’d have to find a custom mattress for is a heart-shaped sofa bed, like the one from New Look. Of course, it has to be mentioned that in these cases (when the mattress you sleep on is also the sofa cushion you sit on) the mattress has to be upholstered in order to fit aesthetically. Always make sure that you buy the right type of mattress for your sofa bed to ensure it’s comfortable and fits correctly in the bed frame. Sleeping on the wrong kind of mattress can leave you with aches and pains come morning. Need a custom sofa bed mattress? For rectangular shaped hide a bed mattresses of custom sizes, use our easy order form here. For custom shaped mattresses contact us here! This entry was posted in RV Lifestyle, Sofa Bed Tips and tagged RV sleeper sofa mattress. RV Sofa Bed Mattresses: What’s the Deal With Them Anyway?